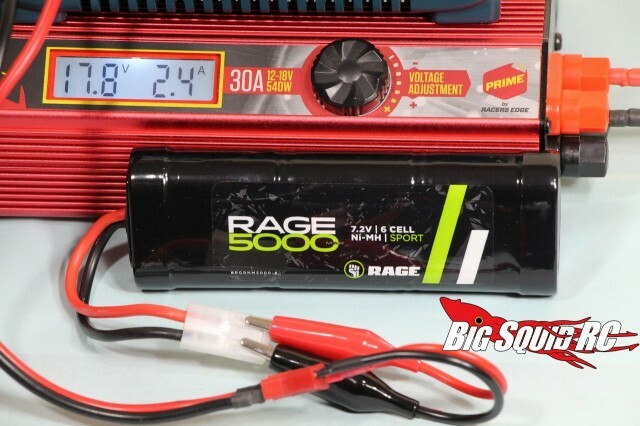 Product Spotlight – Rage RC 7.2V 5000mAh NiMH Battery « Big Squid RC – RC Car and Truck News, Reviews, Videos, and More! Sometimes you just need an inexpensive NiMH Battery to get the job done. 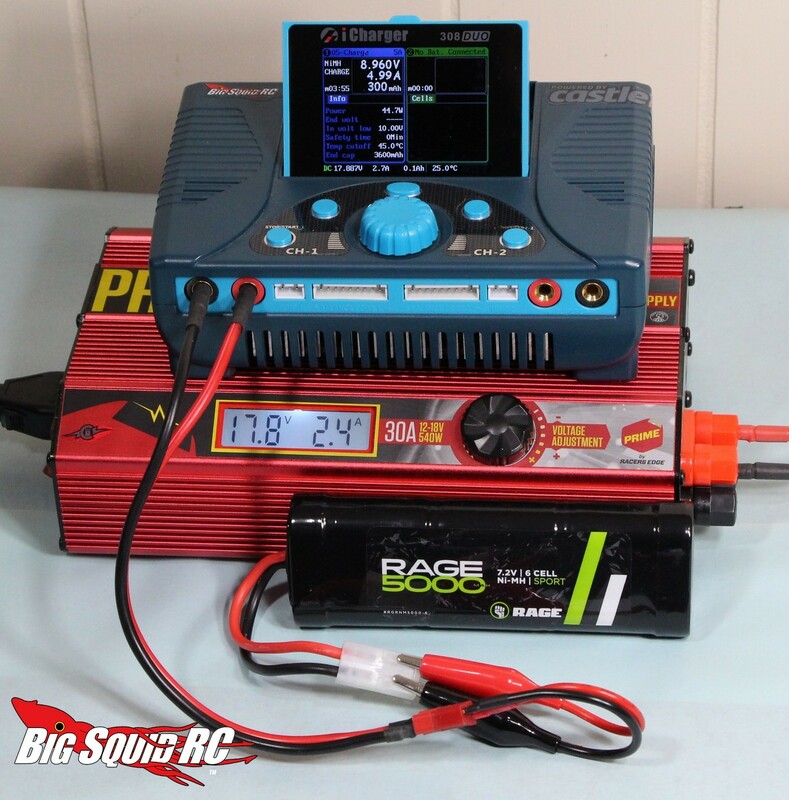 Sometimes you may not have a LiPO battery charger, or maybe you just want to keep things simple. 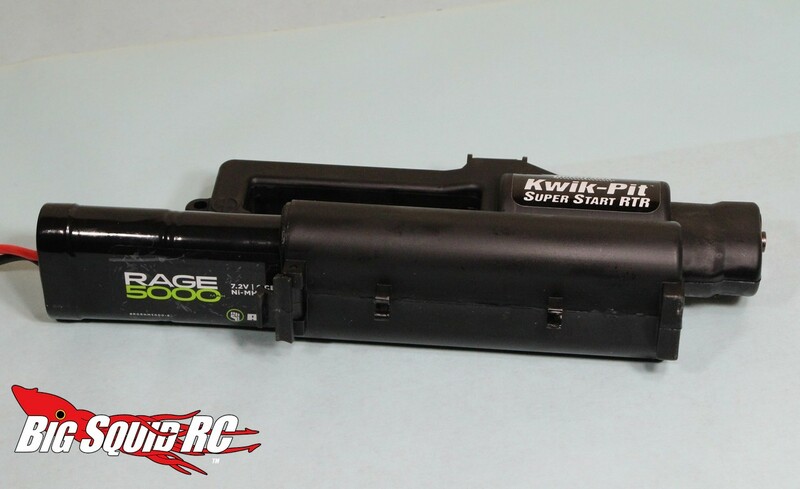 Such is the need for a battery like the Rage RC 7.2V 5000mAh NiMH. We received a pack for testing a couple of months ago and have been putting it through the BigSquidRC ringer ever since. What have we found out? * The Rage comes with a simple “Tamiya” style connector that works on numerous entry level products. * With a standard 6 cell NiMH form factor, the Rage easily fit in every application that we tried. We used it in several vehicles, from an ECX Torment, to a Pro-Line PRO-MT, to a Traxxas Slash, the Rage was always a perfect fit. * We also used the Rage in the roto-start of our nitro powered Duratrax Camaro. In this application it had plenty of power and turned over the nitro engine easily. * While the Rage didn’t have the energy density (read- runtime and voltage output) of a LiPo, it had excellent power and runtimes compared to a pair of different low mAh RTR packs that we had laying around. For example, in our brushed Torment the truck was noticeably faster when using the Rage than when driven on a 1500mAh RTR NiMH. * We conducted a 1C (5 amp) discharge on the Rage using a Hyperion 720iNet3 to get a capacity reading. The Rage NiMH was stated to be 5000mAh, while the Hyperion showed it put out 4732mAh on its first cycle. 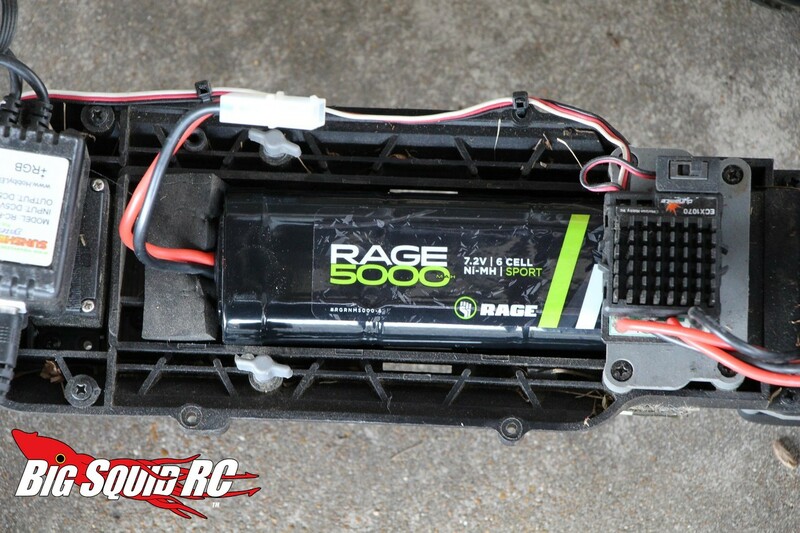 We had no issues with the Rage RC 5000 NiMH and can highly recommend it to you. It has a low street price of $29 and its part number is #RGRNM5000-6. Click Right Here for more details over on the Hobby & Recreation Products website. Enjoy reading product reviews? Find a whole bunch more Right Here on BigSquidRC.